No one seems to be exactly sure how the new coupe from Lexus is going to look like but we can expect it to be rather close to the LF-CC concept. With the launch of the new IS range, I'd safely say that the characteristics should be close with features such as the grille and those boomerang daylights. Autoblog recently caught the new coupe on the tracks and despite the camouflage, the unique 'gills' suggests that this was definitely an 'F' variant of the new 2-door. Some say that a few variants have already been registered for the Australian market, indicating a smaller turbocharged engine to the big V8. 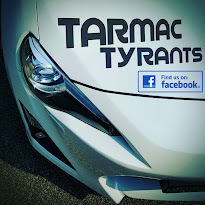 Perhaps the turbocharged version could be an F-Sport model? We will just have to wait and see. Looks like the Audi RS and the new BMW M4 may get a bloody nose... Especially if it turns out looking like this featured design in a Japanese car magazine. 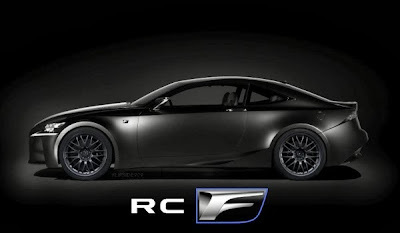 Personally, I think the RC F has a really sick body-kit in this picture. What are your views?